Update: 3 January 2011 / 28 Muharam 1432H, Is. 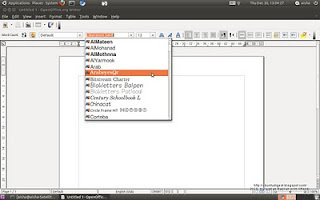 After clicking the Install Font button, see Pic 1, and trying out a new font, it turns out that that new font isn't what i want on my list of fonts. But how does one remove it? 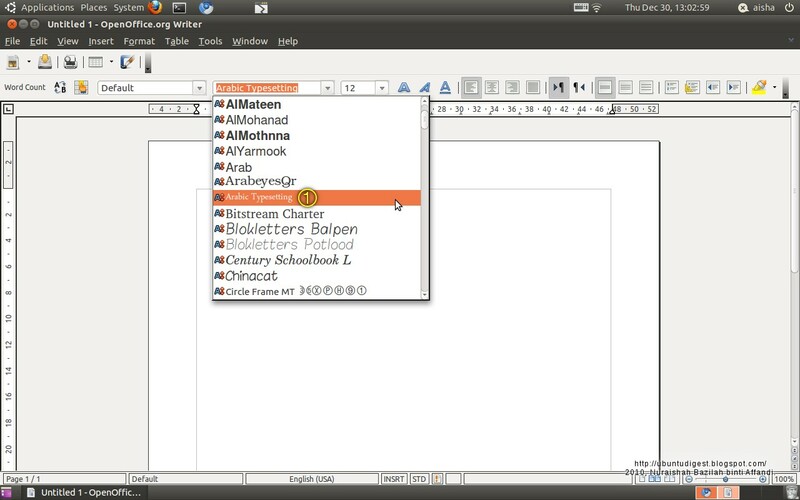 Pic 2 - The unwanted font shown in OpenOffice.org Writer. Before removing. 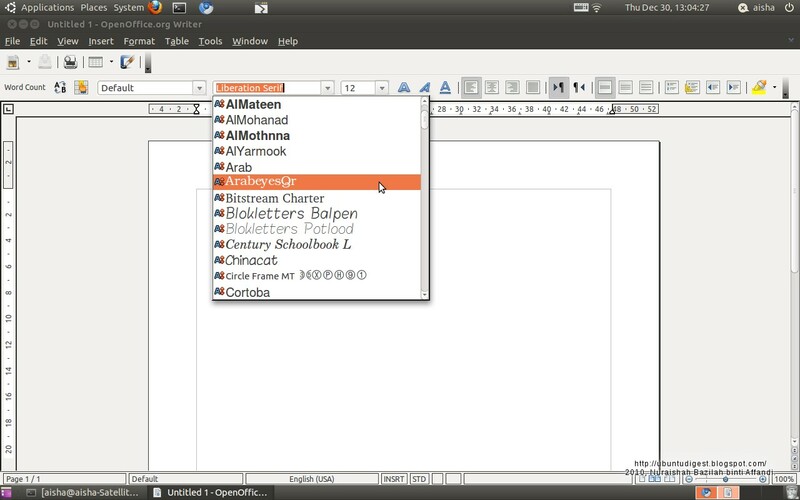 Pic 3 - The unwanted font shown in OpenOffice.org Writer. After removing. 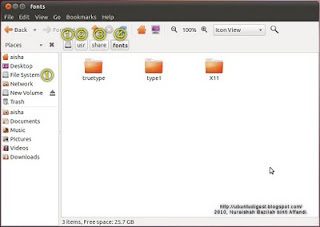 File System > usr > share > fonts. 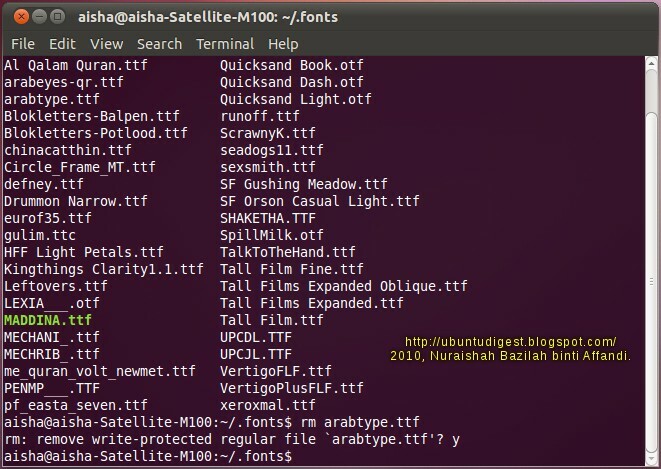 Pic 4 - Locating the fonts folder in Ubuntu. 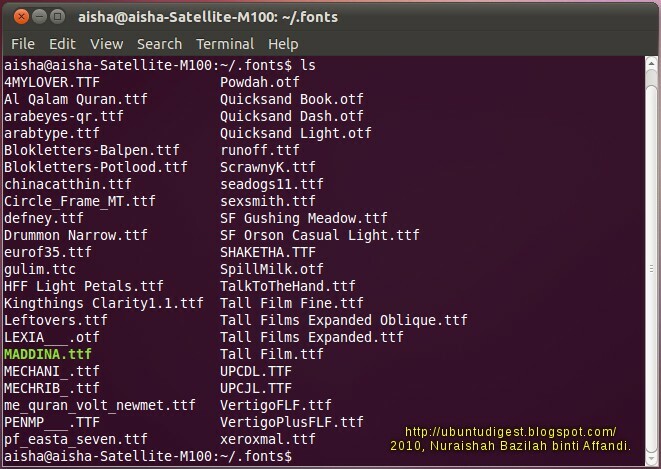 Turns out that a font installed using the Install Font button is referred to as custom fonts or user fonts. Here, i refined the explanations. Panel > Applications > Accessories > Terminal. See Pic 5. Pic 5 - Refer Step 1. 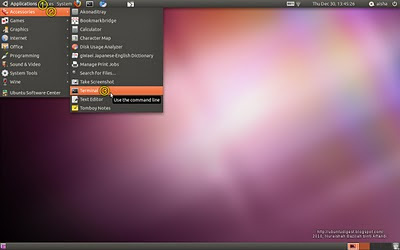 Running the Terminal from the menu. Pic 6 - The Terminal, freshly loaded. Pic 7 - Refer Step 2. 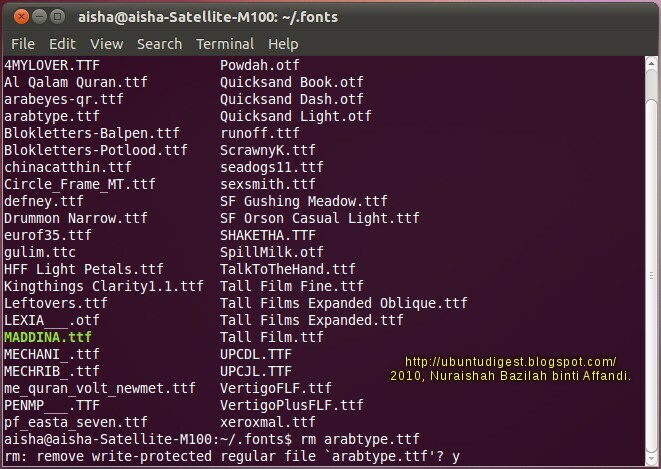 Changing directory to the fonts folder. 3. Change the part username in Step 2 to your username. Mine is aisha. See Pic 8. Then press the Enter button. 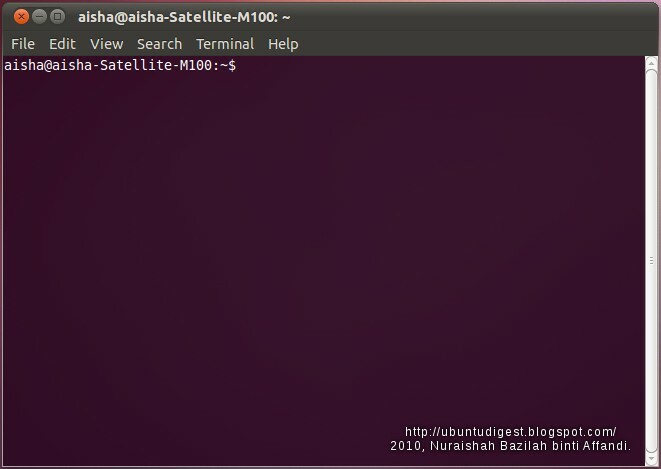 A new command line appears as shown in Pic 9. Pic 8 - Refer Step 3. 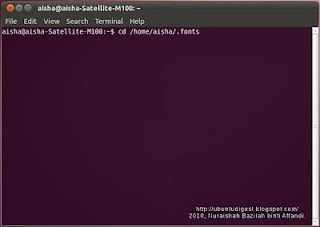 Changing the username in the command. Pic 9 - Refer Step 3. 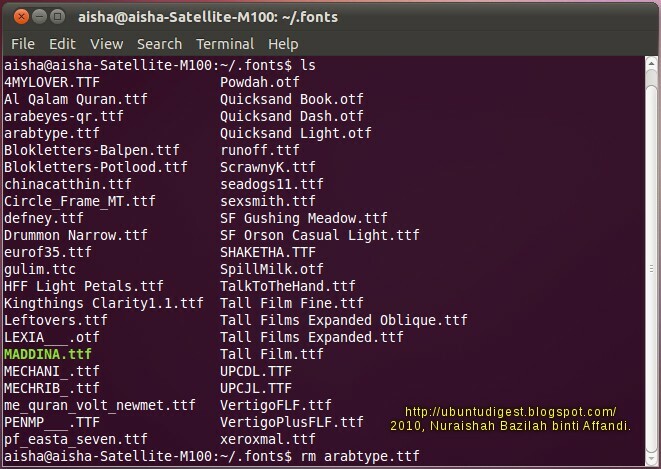 We are now in the fonts folder. Refer Pic 10. Then press the Enter button. 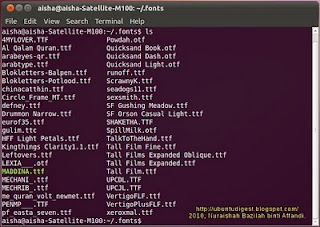 A list of custom fonts appears, similar to Pic 11. Pic 10 - Refer Step 4. 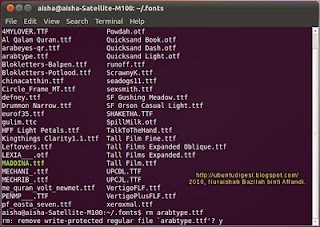 Adding command to see the list of items in the fonts folder. Pic 11 - Refer Step 4. 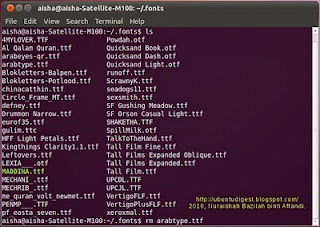 List of user fonts installed in my laptop. Highlight the name. Press Ctrl+Shift+C to copy. Then press Ctrl+Shift+V to paste. Pic 12 - Refer Step 5. 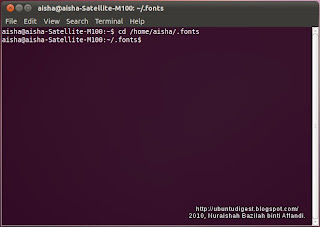 Adding the command to remove the unwanted font(s). 6. Upon pressing the Enter button in Step 5, a new line to confirm the removal appears. 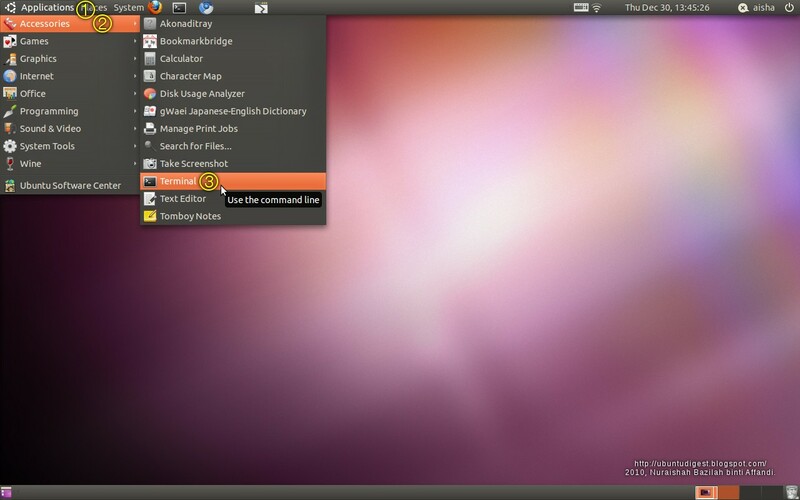 Refer Pic 13.
then press the Enter button, see Pic 14. Then command line seen in Pic 9 appears, also shown in Pic 15. The removal process is completed. Pic 13 - Refer Step 6. Confirmation required. Pic 14 - Refer Step 6. Removal confirmed. Pic 15 - Refer Step 6. Unwanted font has been removed. Thanks a lot! I really was searching high and low for this information! 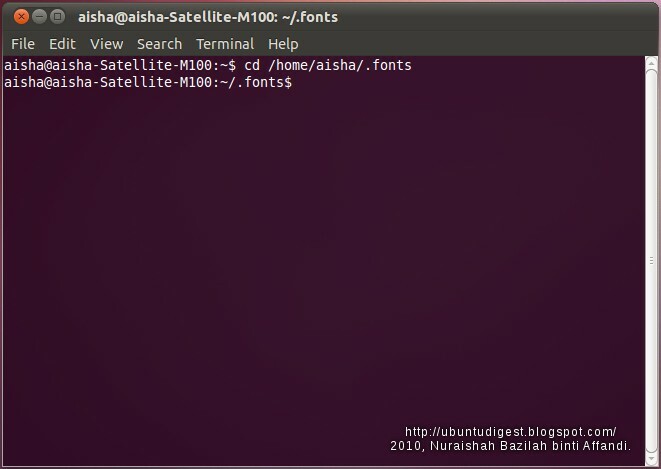 I've got a corrupt font on the system and it was making me crazy. Thanks again! 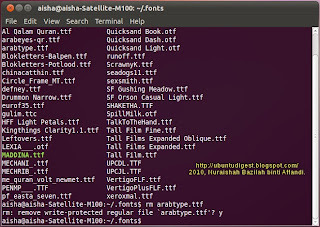 , search for .fonts folder, open it and do the magic! Thank you very much for sharing. Your method is so much easier!